Charity Give back to the destinations you visit by fundraising to provide healthcare, education, and a safe home for local communities. Learn more about MEDLIFE and the cause you will fundraise for by visiting www.medlifemovement.org. Challenge Push yourself on a 6-day trek to the summit of Mt. 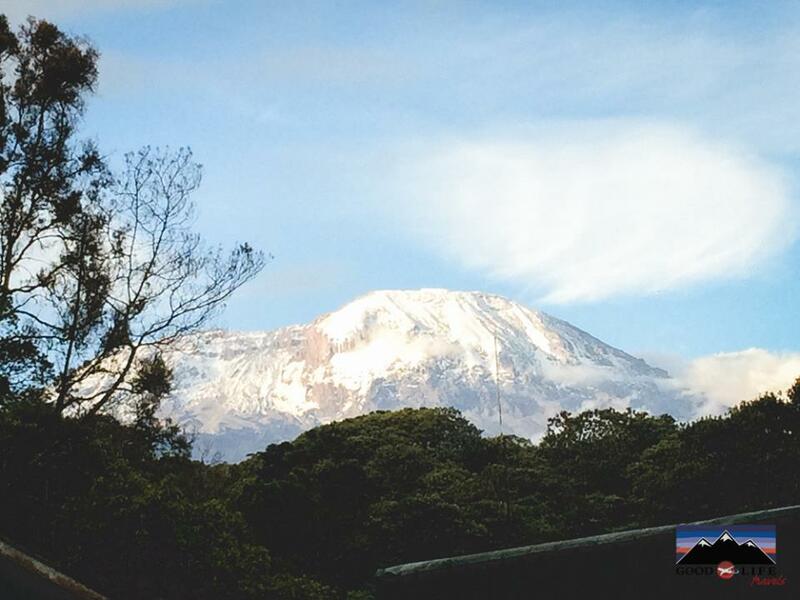 Kilimanjaro – the highest free-standing mountain in the world. Good Life Expeditions is a Peru based expert travel company, passionate about creating transformative experiences for visitors from around the world. But we also have a unique motivation when we plan trips. We were born in partnership with MEDLIFE, a non-profit organization that empowers low-income communities in their fight for equal access to healthcare, education, and a safe home. So everything we do is about planning incredible journeys that give back. That is why in 2019 we are offering Tanzania Charity Challenges, the perfect combination of adventure and giving back. Operated by Good Life Expeditions, the challenge will promote awareness of extreme poverty in the destinations visited and inspire giving by providing an avenue for participants to fundraise for our partner non-profit, MEDLIFE. And beyond that, it will be an unforgettable travel experience! On the epic 6 day / 5 night expedition you will climb from Machame Gate (1,817m) to Uruhu Peak (5,895m). 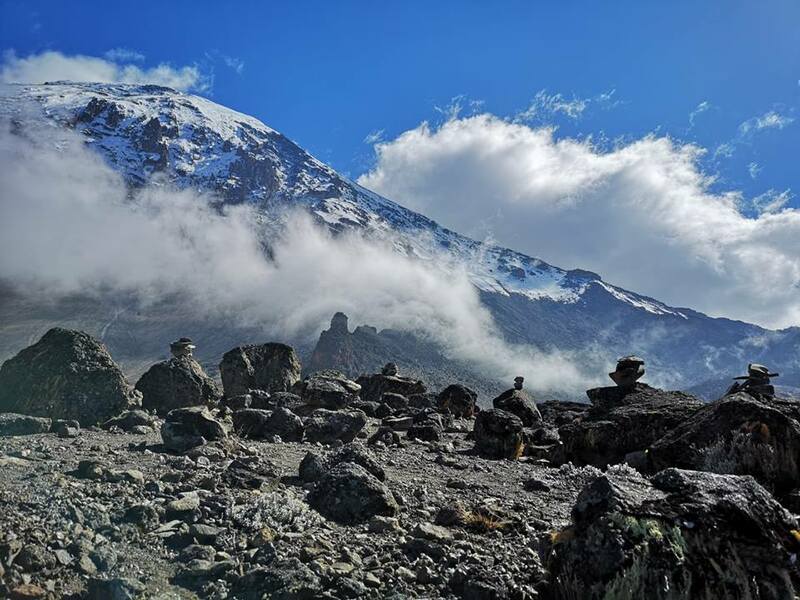 The hike will take you through dense rainforest, high moorland, and beautiful glaciers eventually leading you to the highest point in Africa, the summit of Mt. Kilimanjaro. Ready to be challenged and inspired? Contact us at [email protected]! Day 1: Arrival to Kilimanjaro. Transfer from the airport to your hotel at the base of Mt. Kilimanjaro for a briefing and equipment check. Get a good night’s rest – tomorrow you start the adventure! 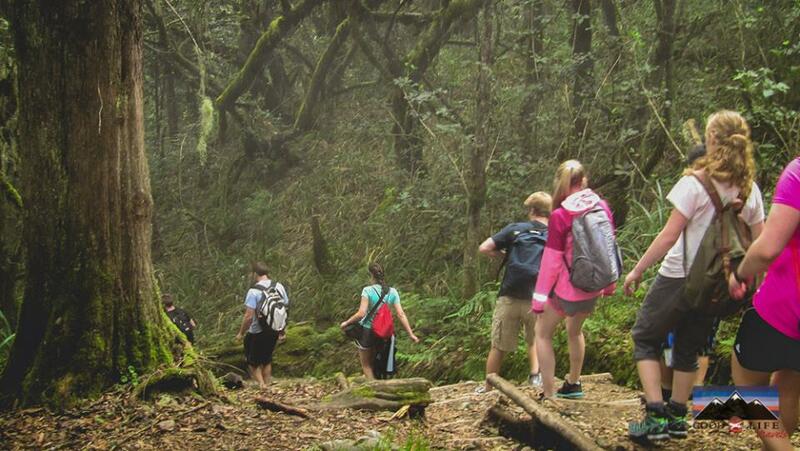 Starting at Machame Gate (1,817m), begin the first leg of your trek through dense rainforest. Head to Shira Plateau for gorgeous views of Mt. Kilimanjaro. Trek at high altitude across moorland and other distinct landscapes. Climb the steep Great Barranco Wall and underneath glaciers. Today you will summit Mt. Kilimanjaro! Climb to the crater rim at Stella Point at the first rays of sun before heading to Uruhu Peak. Here you have reached the highest point in Africa. A gentle descending trek back to your hotel for a hot shower and celebration of your summit! Continue your dedication to the communities of Tanzania with a one week educational and impactful Service Learning Trip (SLT) with MEDLIFE. Contact [email protected] for more information. Explore more of Africa with a socially responsible add-on. Contact [email protected] for a personalized recommendation. Contact us at [email protected] to plan your Tanzania Charity Challenge! Arrive at Kilimanjaro International Airport (JRO) and transfor to your hotel for a day at leisure. Please let us know if you would like to plan some additional activities or day tours in the area. In the afternoon your trekking guide will meet you at your hotel to brief you on the upcoming Kilimanjaro Trek and do an equipment check to make sure you have all of the necessary mountain gear. This morning you will wake up to begin your exciting 6 day trek to the summit of Mt. Kilimanjaro. The highest free-standing mountain in the world, the experience this week will be complete with unbelievable views, tough hiking, and incredible memories. After a 30 minute drive from Moshi, you will arrive at Machame Gate (1,817m) – the beginning of your trekking route. Complete park registrations before you begin walking. This first section of the route climbs steadily and passes through magnificent, dense rainforest. The path is less-visited than most – meaning you will likely have it to yourself but that some places will be overgrown and muddy. You will cover a total of 10km today in about 6 hours. After breakfast at camp, continue trekking up through the forest until you reach the steep ascent to Shira Plateau. Here you will be rewarded with gorgeous views of Mt Kilimanjaro. As you look behind you, you will also be able to see Mt Meru rising high above Arusha town in the distance. Today you will cover a total of 4.8km in about 5 hours. The landscapes will change today – giving new perspective on the vast distances and diversity of this astonishing trek. You will be walking on high moorland as you traverse the southwest side of Kilimanjaro. Pass under the Lava Tower and the Western Breach before you reach camp. Over the course of the day you will trek at high altitude – reaching about 4,600m at your highest point. But sticking to the mountaineering coder of “walk high, sleep low,” your camp will be below 4,000m to aid in your body’s’ acclimatization to altitude. The day will cover 10km in about 8 hours. The day starts by descending into Great Barranco, a huge ravine. To exit, you will climb the steep Great Barranco Wall which divides us from the southeastern slopes of Kibo. Though it doesn’t require technical skill, the climb is over rocks and will be long and tiring. Following the climb, you will pass underneath the Heil and Kersten Glaciers, as you head towards the Karanga Valley. This will be the last place to retrieve fresh water before the much anticipated summit. Continue through arid and desolate land as you make your way to camp. You will trek 8km today in about 8 hours. Today will be a long but extremely rewarding day. Starting at midnight, you will begin climbing towards the summit glaciers. For about 4-5 hours, climb scree (slopes covered with small, loose stones) gaining incredible height over very short distances. The views will be spectacular. You should be at the crater rim at Stella Point (5,739m) as the first rays of the sun emerge. Astonishing ice cliffs within the crater will surround you, and the views to the jagged Mawenzi peak and beyond are breathtaking. Another hour walking takes you to Uruhu Peak (5,895m)! Congratulations, you have successfully reached the highest point in Africa. Stop for some once-in-a-lifetime photos before beginning the descent. Head to Stella Point, then Barafu Camp for breakfast, before finally heading to down to Millennium Camp for a well deserved rest. You will cover 13.4km today in 12-15 hours. A gentle trek will take you down through the rainforest once again, arriving at Mweka Gate. Here you will complete some park exit formalities, and receive a certificate for the completion of your summit. This is a great souvenir (and humble bragging tool) to hang with pride when you get home! You will be met by vehicles to return to the hotel in Moshi for a hot shower before a celebration! Today you can begin your optional travel extension, or alternatively depart Tanzania after the adventure of a lifetime! Contact us to plan your Tanzania Charity Challenge!